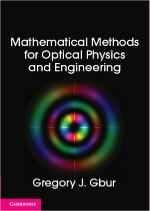 ← Mathematical Methods for Optical Physics and Engineering on Amazon! Chimpanzees Prefer Fair Play To Reaping An Unjust Reward. We’re often told that “life isn’t fair”, but certain of our primate relatives feel otherwise: Eric Michael Johnson in The Primate Diaries describes research that demonstrates that chimpanzees have a good sense of fair play! A Cataclysmic Variable in the Field of the Kepler Mission. At his eponymous blog, Professor Astronomy describes his personal astronomical observation of a “cataclysmic variable” — and explains what that means!